Defensive driving institutes teach you to proactively avoid accidents before they happen. You’ve always got to be on the lookout for hazards, but you need to be especially vigilant at night time when visibility is diminished and a whole other layer of potential danger emerges. It’s not surprising when you consider how crucial a role your vision plays in safe driving, especially for parallel parking. According to the National Safety Council, the number of fatal car accidents triples at night time. The National Highway Traffic Safety reports that incidents of speeding and intoxication increase at night, increasing the number of accidents. 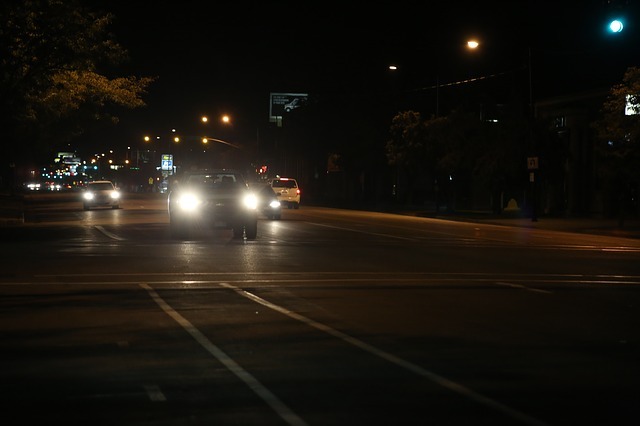 There are specific steps that you can take if you are driving at night to stay safe. It’s not just your limited visibility you need to worry about in the dark to prevent an accident; you’ve got to consider that other drivers may not be able to see you either. Check all your signal lights, tail lights, brake lights, and headlights to ensure that they are in good working order. Make sure that your headlights are even as well because this can hamper your ability to see properly and be seen. If your car should break down, make sure to move it as far away from the road as possible. You’ll be hard to spot in the dark for passing cars. Leave the hazards on to alert other drivers. Be courteous to other drivers by keeping your low beams on when right behind a car, so as not to blind the other drivers. It’s hard enough to see in the dark, but if you throw a little extra weather in there, like fog, snow or rain, then visibility drops significantly. Always use your low beams when driving through fog. Reduce your speed so that your headlights can illuminate what’s coming and give you time to react; also leave extra space between you and other cars. Don’t forget your depth perception, peripheral vision and ability to discern colors diminishes in the dark too, so take your time and pay extra close attention to your surroundings. Reduce glare where you can, by focusing on the right-hand side of the road, not the lights of oncoming traffic. Wipe the inside of your windshield down frequently; a film on the windshield makes it hard to see. You’re more likely to be tired at night. Falling asleep while driving is a real problem, in fact, it is estimated that there are 1,550 deaths annually as a result of drowsy driving and 71,000 injuries. Don’t ignore signs of tired eyes like itching and/or watery eyes, blurred vision, difficulty focusing or pain in your neck and shoulders. If you become tired while you’re driving, such as on a long trip, pull over to a rest stop, stretch, nap or go for a walk. If you’re tired before you set out, delay your trip, it’s not worth the risk. For your own safety, your best strategy is to learn from a driving institute. With the most qualified instructors in Littleton Driver’s Ed, you’ll learn how to stay safe as you travel at night.